Philadelphia is a World Class destination for tourists, residents and new businesses. Major construction projects have caused many homeless people to change their daily patterns, creating a higher level of concern. Last year over 6,000 Philadelphians experienced homelessness; about 10% of those are unsheltered. Many have a mental illness, addiction or both. Women are likely to have suffered domestic violence, but the common denominator among those experiencing street homelessness is extreme poverty. The City of Philadelphia&apos;s Office of Homeless Services, within the Office of Supportive Housing (OSH), provides leadership, coordination, planning and mobilization of resources to provide over 14,000 beds of emergency, transitional and permanent housing with social services through our nearly 70 not-for-profits, faith-based, civic and governmental partners. Our motto is: Many partners. One goal. Ending homelessness. Our supported housing programs that combine affordable rents with have an extraordinary 85% – 93% success rate. Last year we virtually ended veteran homelessness. So far in 2016 no families were found living on the street. We don&apos;t have enough to go around. We need everyone&apos;s help to establish more supported housing – affordable rentals with employment and services—so we can help more people get off the streets and reclaim their lives. 95 cents on every dollar you donate will go to nonprofits throughout Philadelphia through a competitive process to provide homes and services to families and individuals who are homeless. Funds are administered through the Office of Homeless Services. Homeless advocates urge visitors who feel compassion to NOT GIVE to panhandlers. Instead, please give to your favorite charity or to the Mayor&apos;s Fund for Philadelphia to End Homelessness—for real solutions. Thank you. 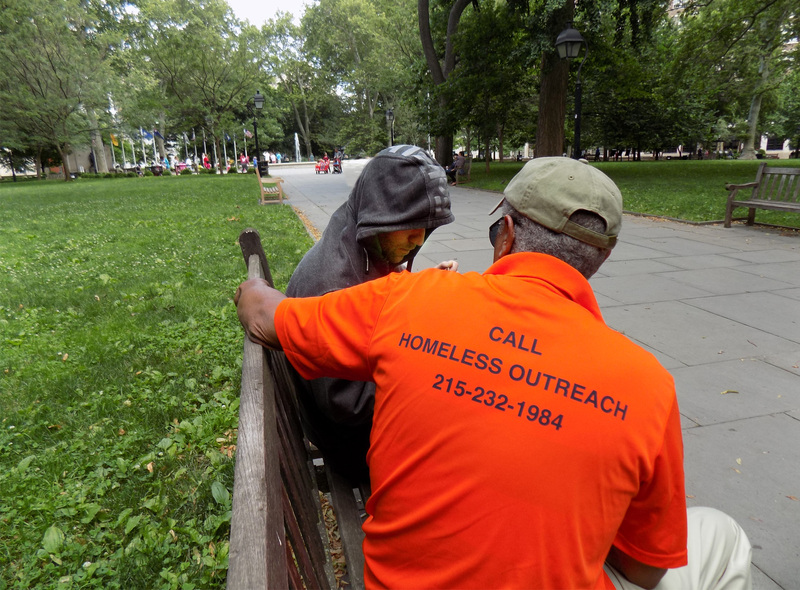 Together we really can make homelessness on the streets of Philadelphia rare, brief, and nonrecurring.